Whether it is heating, defrosting or noise free functioning the Panasonic NN-SD945S outperforms its competitors by a fair margin making it the top pick for 2018. Herea��s more about it in detail. With the large 2.2 cu. ft. interiors you can fit in anything ranging from a 13a�? pizza to a whole chicken. The 18 presets allow you to cook soups, bagels etc. on the go. The Invertor tech provides even heating ensuring the food is well-cooked from all sides. Defrosting is quick and hassle-free with the Advanced Inverter Turbo Defrost option. Further saving you more cooking time is the 1250 watts power it generates. Comparatively expensive but high-end features and noiseless operation make it worthwhile. 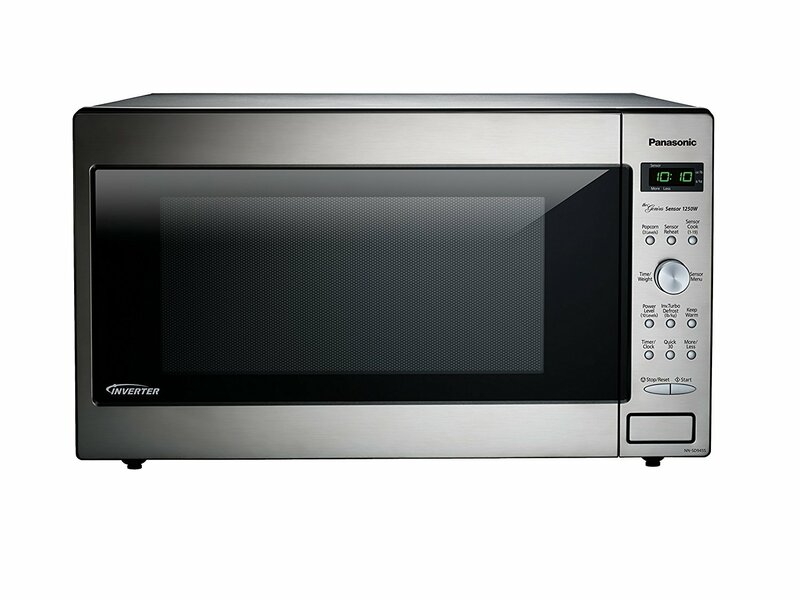 In summary, the Panasonic NN-SD945S is the best countertop microwave in 2018. Need something on the cheap? The Oster OGG61403 provides the best bang for your buck and herea��s why. The child lock feature lets you leave the microwave unsupervised while cooking. The 1200 wattage means therea��s enough power for a quick yet even cook. With the 6 auto cook options you can make popcorns etc. with the press of a button. Speed defrostA�saves you tons of time. Defrosting and cooking times adjust as per weight of the food. It’s noisier compared to high-end models. May require regular repairs and maintenance. 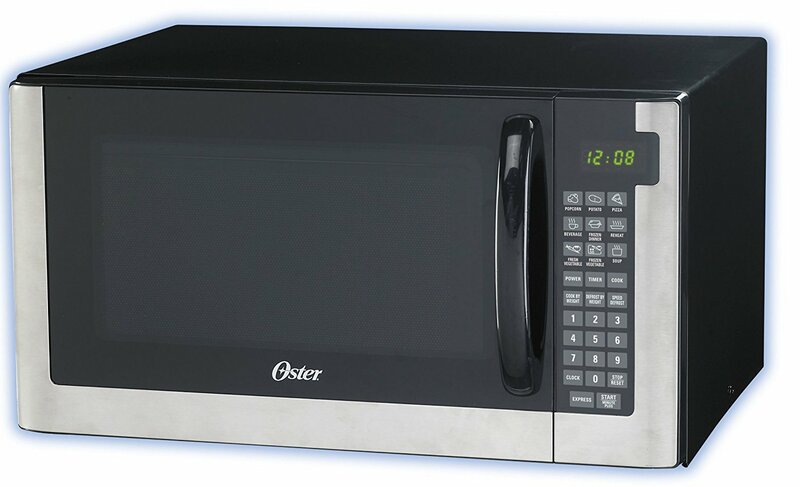 In summary, the Oster OGG61403 is the ideal microwave for the budget buyers and ideal for occasional use. The GE Profile JES2251SJ[SS] comes with an unmatched warranty but there’s more to like about it. 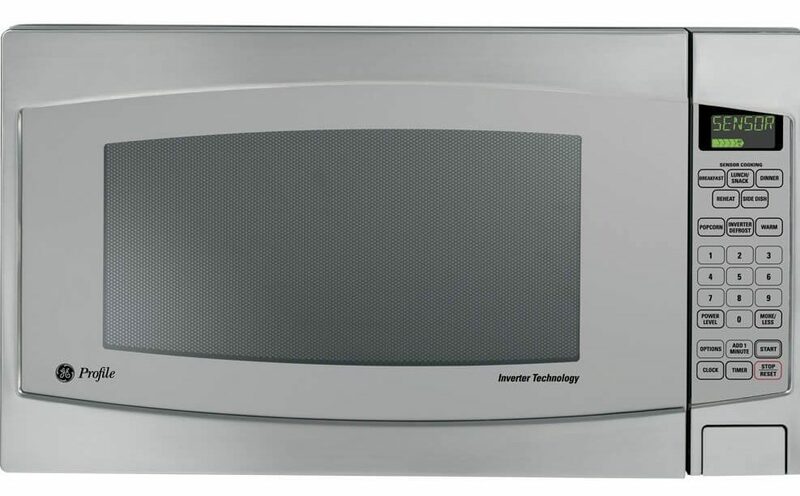 10-year warranty means this microwave will last you long. Automatic reheat sensor keeps the food warm at all times. Saves you cooking time with 1200-watt power. Provides all-around heat for even cooking. Quicker Defrosting with the Auto Defrost option. 2.2 cu.ft interior provides ample room for cooking your favorite steak or veggies. Most expensive microwave on the list. Gets slightly noisy when running for long hours. In summary, ita��s a perfect microwave if youa��ve got durability at the top of the mind and willing to pay a premium.